The Netherlands is a land of many qualities, with its incredible landscapes, exciting nightlife, and many historical monuments, museums, and galleries. While some people believe Dutch food, however, is straightforward and even a little unexciting, the country does offer a variety of dishes including many that benefit from the influences of former colonies. For all of our Corporate Housing Factory guests, we have prepared a list of dishes and their recipes for you to enjoy! Made out of mashed potatoes, carrots, and onions, and often served with beef, hutspot provides a simple but effective combination of tastes along with rich vegetable texture. The main secret of the dish are winter carrots, which have more sugars than usual ones, giving hutspot a sweetly texture that goes perfectly with braised beef. Another dish made out of vegetables, stamppot can be prepared with a variety of vegetables (even some fruits), with its core being made out of mashed potatoes and curly kale, along with a couple of shallots thrown in for even better flavour. 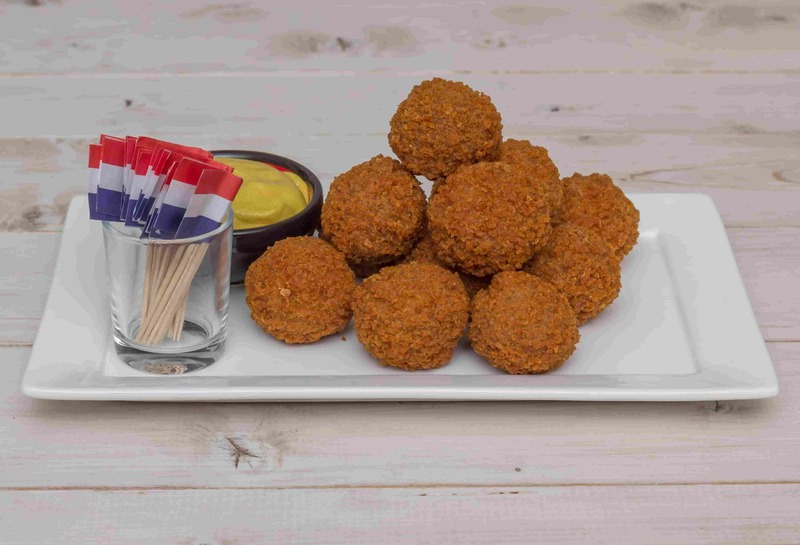 Stamppot is traditionally served with rookworst (traditional smoked Dutch sausage). Erwtensoep is a tasty split pea soup made out of peas, celery, carrots, potatoes, onions, leek, and lots of meat. The Dutch usually make erwtensoep with pork or thick-cut bacon and lots of sausage, making the soup incredibly thick and swarming with a simple but delicious combination of tastes. An excellent dish for short and cold winter days, erwtensoep should definitely be tried by anyone visiting the country. This dish is dominated by tasty asparagus and lush potatoes—both served in the Netherlands for hundreds of years. Aside from the two main ingredients, Dutch asparagus also features eggs and meat (usually cooked ham). It is prepared quickly and can be made by anyone who even remotely likes cooking. While there are a couple of different recipes for a traditional Dutch vegetable soup, one rule is always followed—you have to include meatballs, (usually) made out of half pork and half beef. The first gives meatballs softness while the other is there for flavour and texture. Other ingredients include various vegetables, depending on the season but you won’t go wrong by preparing the soup with a soup vegetable mix that can be found in almost any store. Bitterballen are a perfect combination with beer. The dish is usually served as a snack with alcoholic beverages, and its savoury taste is an excellent contrast to the bitterness of the beer. Bitterballen are similar to croquets and are made out of butter, flour, chopped beef or veal, and various spices. Rolled into balls and then coated in breadcrumbs before being deep fried. Poffertjes are a traditional Dutch treat made out of milk, flour, and butter. They are similar to pancakes in taste but are smaller in size and thickness. Traditionally served with powdered sugar on top along with a hot melting piece of butter. Everyone likes doughnuts, and oliebollen (which can literally be translated as oil balls) are the Dutch version of a classic doughnut formula. They are deep fried in oil and served with powdered sugar. Variations include adding different fruits to the formula—usually currants, and apples—or even different fruit fillings. Rich in taste and texture, oliebollen are traditionally served on New Year’s Eve and are a perfect winter treat. Stroopwafels are another fine example of the best part of the Dutch cuisine. These waffles are simple to make, pretty straightforward when it comes to ingredients, but they taste heavenly and are one of the most popular treats in the Netherlands, and for a reason. Stroopwafels are made out of two waffle cookies with sweet, caramel syrup in the middle. The syrup is made out of brown sugar, butter, and pancake syrup along with a bit of vanilla and ground cinnamon. Pies are one of the most important pieces of almost any cuisine, and the Dutch apple pie is no exception. Traditional Dutch apple pie comes in two varieties, a crumb (appelkruimeltaart) and a lattice (appeltaart) style pie, both usually served with a dollop of whipped cream on the side.